We love movies and we love the amazing turbulence, hidden beauty, worries and ultimately logic of the scenes. The whole picture comes together at the end and there are no questions left. All the situations fall one into another like in a gear. It’s perfect. When we observe our own life from the point of view of an creative director who is responsible for a movie content, life, of course, becomes a game with a broader scope and much more interesting content in general. 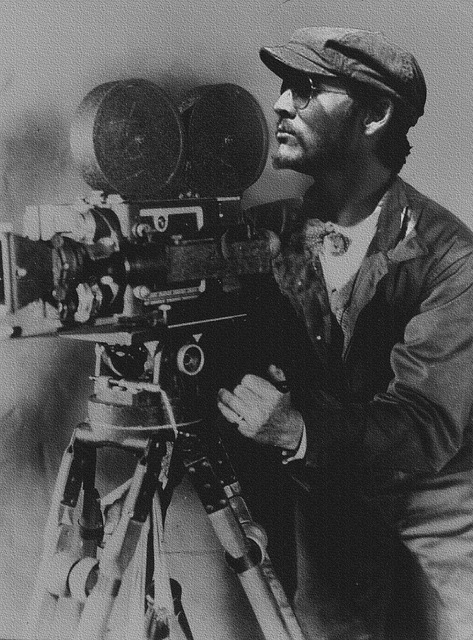 If I’m the creative director, then I can decide about how I will see my movie. There’s a clear practical reason, why I’m so eager to spread ideas of the practice of self-awareness, sensitivity and self-reflection. The practical reason is: you decide how your movie is gonna continue and end. Trust me, you decide. Our power is so endless huge. The start is often given by the outer circumstances, but it’s us who decides who we play in our own movie and how we want to continue to play. Sounds crazy? Possibly yes, but for me it works exactly this way. It’s actually really scary, that we can write, strike off and re-write our movie as we want to. As many times as we want to. Recently I started to observe an absolute logic in my life. They say, everything happens for a reason and I’ve never felt it that intense like now. It doesn’t matter what happened to me, as soon as something happened, something else immediately filled up this “empty space”. And I had the idea in my mind, that life can be compared with the movie: one part falls into the next, perfectly, accurately, logically..like a gear. Does it make sense? So, how is it possible to become a great creative director of our own movie? Second, we have to understand and feel the cause-effect-dogma. It’s not about pride or justice. It’s about how we feel about our own selves and who we want to be in this life. Most of the time we are getting involved in some unnecessary drama (which is maybe not even created by us, but we co-create it by getting involved). So, sometimes it’s an amazing practice to feel through the situation and our power to create even more drama by not being attentive enough to the huge responsibility we have. Third, we have to practice self-awareness and sensitivity towards ourselves and others. If we’re not sensitive, we can’t really control the situation and for that our own lives. Being sensitive, means understanding ourselves and others and the reasons for our/their words and behavior. For example, sometimes we’re mean to other people with an “unintentionally” stupid comments, even if the intention is to be funny, chances are that offend them and make them feel uncomfortable. By making others uncomfortable, by even unintentionally putting them down, we give away our own responsibility to be good, compassionate, understanding people. We give our amazing roles to others and play bad roles instead. It’s time to take our real good-natured role back. Fourth, and the most important factor is, to understand that the only important opinion on us is our own. It’s crucial, how we perceive our own selves. That is why often, as soon as we start to re-write the plot of our movie, we react to other peoples opinions/critics extremely sensitively. We want them to see the progress and changes we make, but they don’t want to see. Mostly, they try to find “failure-moments” just to remind us, that “look, she/he didn’t change”. When I changed my diet, many people started to challenge me about being vegan. When I decided not to drink anymore for some months, people were making jokes of me and told me they won’t invite me to go out anymore. When I wanted my talks to be more positive, people were just even more angry because of all the good I wanted to share. My intention was good. It happens. And I was reacting to them, constantly thinking, that I probably really didn’t change. The truth is, that in my movie I did change and made a huge progress within the last three years. In my movie I’m following healthy habits and constant growth. And I really do. I live it. That is why it’s so important to keep a great attitude towards ourselves. If I decide to be a great, friendly, healthy and extraverted person now – who the f can stop me? We have the freedom to be whoever we want to be and nobody can prove us wrong. And if they succeed – we, again, give away our responsibility to create our movie. Day by day I’m creating my own movie, which I really start to love from the bottom of my heart. I love my role and I love the other actors. I love the “good” characters and the “bad” characters. All of them make my movie. But what always stays and moves the movie in an exciting and positive direction – it’s me. That is why it’s so important for me to be a great creative director and to do my job with excellence. How do you create your movie? What role do you play in your movie? What role would you like to play? Wo are you in your movie called life? What do you need to play your favorite role? Previous post 6 Books That Changed My Life Next post Can You Imagine Not To … ?